Just as some of the output from the media anointed bro-country movement can court controversy, the same applies at the other end of the spectrum with the explosion of roots oriented folk-pop-rock. There is always going to be unease when such a sound permeates the mainstream big style and the potential to drift away from its ideals heightens. Yet surely there is much merit in the future health of the banjo, double bass, mandolin and other assorted acoustic instruments when artists such as Mumford and Sons and The Lumineers attract a vast level of interest. Amongst those bands with an opportunity to ride this crest of a wave, and feed from the spin offs, is a Texas based duo known simply as The O’s. Although they have had some presence away from their Dallas home, especially in Europe, The O’s have made a significant development in the UK market by arranging a formal release of their third album THUNDERDOG via Glasgow’s esteemed label Electric Honey. The impetus from this arrangement and a slot supporting Del Amitri on an extensive upcoming UK tour will give the band a level of exposure to build considerably on their past successes. 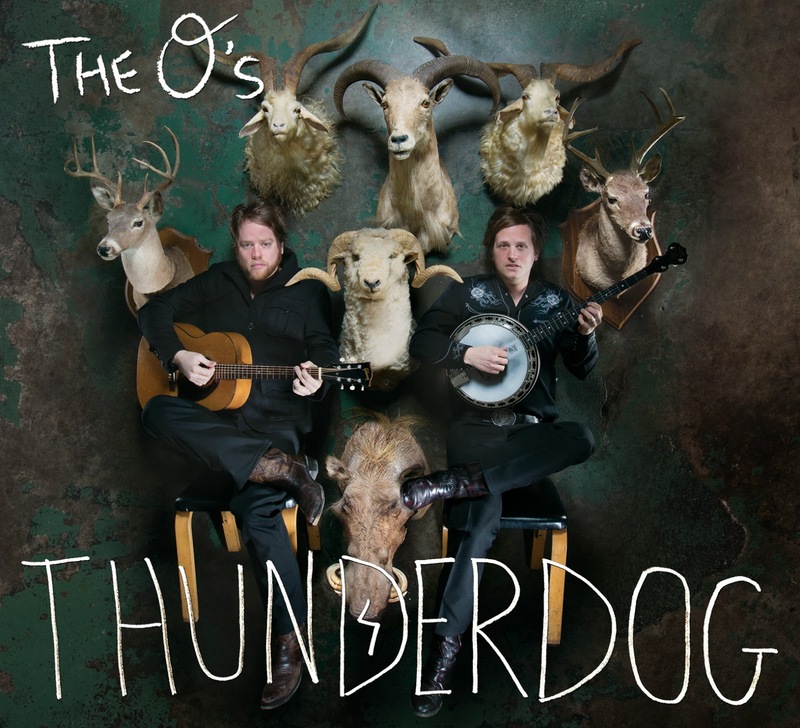 The overwhelming sound and feel to THUNDERDOG is one that could attract mass appeal with the added bonus that there is very little compromise in the authenticity from their harmonica, banjo, kick drum and guitars. The latter does involve a small degree of electric amplification especially at the end of the concluding track ‘Rearranged’ but this is definitely the exception rather than the rule. The O’s consist of Taylor Young (vocals, guitar, kick drum) and John Pedigo (vocals, tambourine, banjo, harmonica, Lowebro). The latter instrument needed a little research which unveiled it as an acoustic lap steel of Texas origin with a tendency to provide a louder sound. This potpourri of natural rhythm orientated sounds is the perfect backdrop to a collection of simple and extremely ear pleasing songs which cannot fail to spark an initial reaction. Throughout the duration of this breezy twelve-track compilation of feel good emotion the listener is taken on a vivacious and dynamic journey with the occasional brief pause to savour the experience. 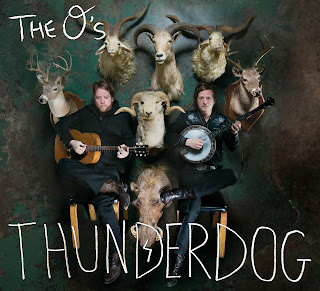 This picture implies a live rendition of the songs from THUNDERDOG could be a must see event and maybe extend their presence to headline tours. Despite its February 24 UK issue on Electric Honey, the album is widely available from the usual online sources on the back of its stateside release last summer, so the opportunity to at least sample the tracks will back up the promotion that THUNDERGOG will no doubt get in the near future. Several enjoyable listens to the record haven’t really revealed a stand out track as memorable chorus hooks aren’t a major feature but this doesn’t detract from a clear production that will resonate with roots fans. THUNDERDOG meets a lot of the criteria for success in balancing substance with a lighter coating and could be a breakthrough record for The O’s. 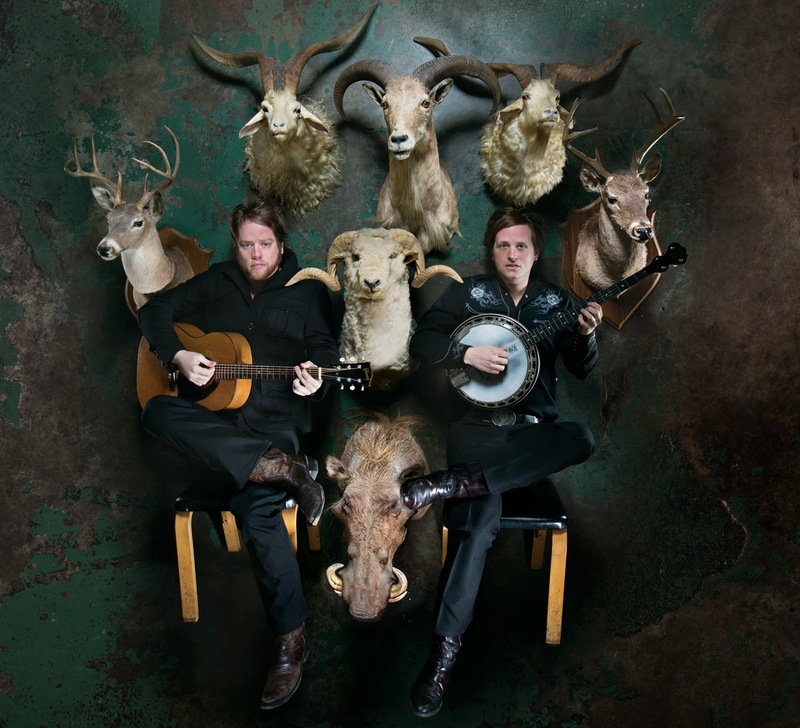 Either way appreciators of banjo, harmonica and general acoustic instruments will take something from a record that will sit comfortably alongside The Avett Brothers, The Lumineers and that UK phenomenon known as Mumford and Sons.